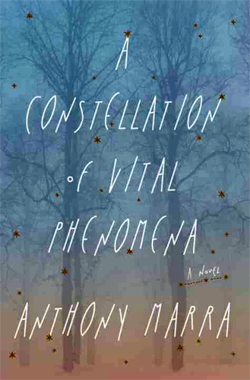 I rarely like a novel as much as I enjoyed A Constellation. I read it when I was sick, I had lost my voice, had a fever and wasn’t able to speak. It was the ultimate distraction, as I went on a journey away from my sofa into a complicated and beautifully rendered world. The book stood out for me because of the skill and craft of the author, it had everything I look for in a book: an absorbing plot, strong characters, beautifully written prose and also an element of the political, set in Chechnya during a period of conflict. The book is special for the story it tells, for the light it shines on the events in Chechnya (and the detailed research that the author undertook to accurately portray these events), for the beautiful way it is told, but also because of the world that the conflict created around the characters and the way it explores different aspects of their inter-relatedness and humanity through that setting in time, place and politics. Not a novel to pass by. If I am honest, with the events in 2016 – notably Brexit and Trump – I have read more newspaper analysis in the past year than I have novels. Maybe the pull to understand the world around me is stronger than the need to escape it. It has certainly been an important year politically. I read a lot of analysis especially about the defeat of Hilary Clinton and the misogyny of our societies. Unspeakable Things, which a friend left in my flat and I picked up by chance, offers a deeper and personal look at being a woman in today’s political and social climate. Laurie Penny put words and a construct around certain thoughts I felt were unfinished in my head. Although I didn’t agree with everything she wrote, I re spected the bravery of this book and the honesty of her argument. Thought provoking and challenging, it helps to further our understanding of the gendered roles that we play in the world around us. I started reading this book at the end of 2015 and I still haven’t finished it. This is more than a book of a year, it is a book I will keep on reading. 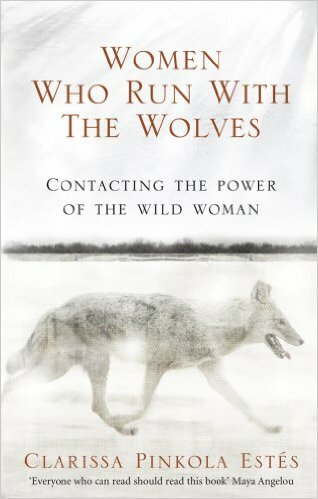 Dense, richly and beautifully written, Clarissa Pinkola Estes uses the medium of stories, myth and story-telling to explore the inner workings of the female psyche and women’s initiation. Enlightening and comforting, a book which doesn’t tell you how to solve problems, but somehow strengthens your own ability to resolve them in yourself. It is far too masterful, dense and complex to read only once and it covers too much ground to do it justice in a short description. This is a book I will keep on reading for years.